I created an Angry Birds version of "Toss Across" to act as a time filler while the kids waited for others to arrive for our Angry Birds party. After printing out five sheets of images, I cut the sheets in half vertically down the middle. Because I intended to use the game outside and I didn't want the printed images to bleed from the potentially damp grass, I used clear packing tape to "laminate" the fronts of the half sheets. Next, I finished cutting the images out on the lines and added a strip of painters tape along the top of each image. I used painters tape because I wanted the game to be a temporary change for the party. I flipped the images over and connected them together using the painters tape attached to the images. Then I took the strip of images and wrapped them around one turning piece of the "Toss Across" game, making sure I smoothed down the tape as I went around the turning piece. Once I was sure the images weren't going anywhere, I used scissors to trim the excess paper and tape from the edges of the turning pieces. The pieces will not turn freely if you don't trim the excess, so make sure you do this step. After covering all nine turning pieces of the game, I was finished. For our Angry Birds party, I started the game with all pieces turned with a pig face pointing up. 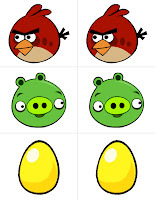 Players then threw beanbags at the pigs to turn them to a red bird or a golden egg. But a "Toss Across" game can be altered to reflect any party theme you choose! IN LOVE WITH THIS PARTY!!!!!!! Thanks, Selina! I should have directions up for making the pig cupcake toppers some time this week! Directions are up for little green pigs! 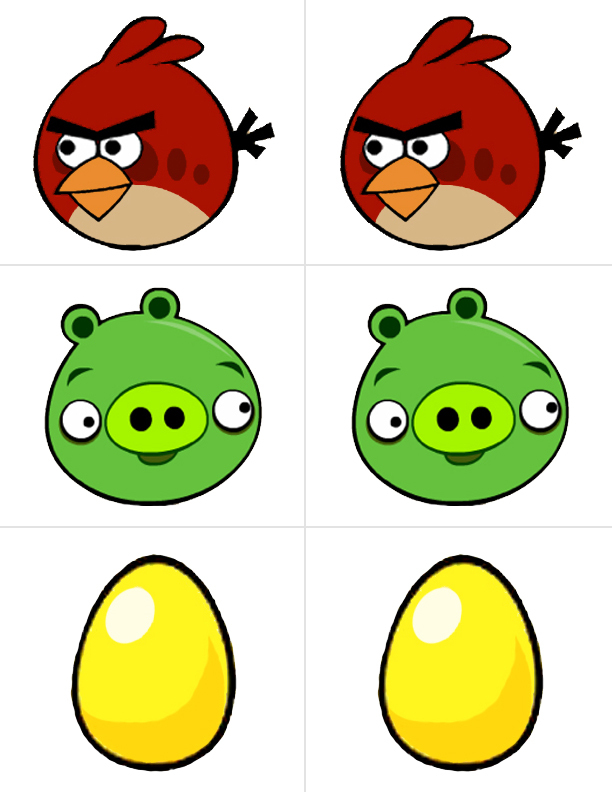 I didn't see a link to print the images for the angry bird toss across. Am I just missing something?